Tall, rich and handsome, Adi Ezra has it all. His ever-growing businesses got his name out to the world but it was his marriage to celebrity model Bar Refaeli that made the headlines. The Israeli businessman despite being part of one of the world's leading business remains a very private person. He has a life anyone would be jealous of. His inheritance and business have only added to Adi’s ever-growing net worth. His hard work and dedication can be seen through his business which seems to be growing at a healthy pace. It’s just a matter of time before we see Adi’s name on the top in the world's richest people. Who Is Adi Ezra? Age, Height, Ethnicity, & Bio Below. 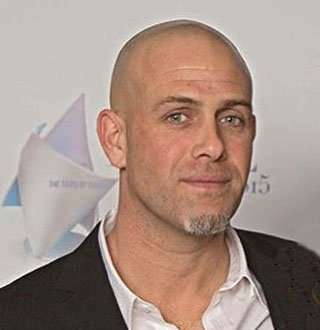 Adi Ezra was born in 1975 in Tel Aviv, Israel to parents Dudi Ezra and Rachel Ezra. He celebrates his birthday on 19th of January. Being born in Israel he holds Israeli nationality. As for his height, information remains unavailable. But from pictures with his wife, he is seen to be slightly taller than her. His wife stands at a height of 5’9”. Likewise, talking about his ethnicity, he might possess Jewish ethnicity as he married in a Jewish ceremony. Adi is the Chairman of the Israeli food giant company Neto. Neto is Adi’s family business which was established by his grandfather, Meir Ezra. Along with that, Adi is also the CEO for Neto Holdings Ltd, a director for E.Ezra Ltd., S.M.T.M.M.R.Ltd., A.Ezra Ltd., El Gaucho Ltd., Hanaot Adi Ltd., and Willinger Ltd.
All this indulgence into a number of businesses has seen Ezra's net worth skyrocket in the past few years. As per sources, his annual salary is alone worth more than what most people earn in their lifetime at $ 3 million. This without a doubt means that he has his net worth in millions. Being born to a rich family and inheriting the family business has surely helped Adi Ezra gain such a huge amount. Adi Ezra Is Off The Market; Ready To Settle Down? On 24th of September, 2015 after dating for three years, Adi Ezra and Bar Refaeli got married in a ceremony in Haifa, Israel. Their stunning wedding consisted of 300 close friends and family. Adi and his wife Bar took their time before getting married. Having dated for three years before tying the knot, the pair got to know each other and let their love grow from a mere I Love You to a Will You Marry me? Bar, who previously dated celebrity actor Leonardo Dicaprio, shared in her Instagram, a photo of her and her husband with the caption saying “I married my best friend.” The couple has added to their ever-growing happiness with the birth of their two children, Liv Ezra, and Elle Ezra.